This post is going to be a tutorial about how I do my brows. Many of you may have issue doing your brows; the most common ones are harsh brows or fake looking ones. In this post I’ll show you step by step with help of images about how to do your brows making them look natural! Using your angled brush, draw a line underneath your brows this defines your brows. Drawing a line underneath is more natural than drawing it above. Once drawn, blend up the color near the beginning of the brows. This is because; the brows are naturally light in the beginning. Define your brows arch. Naturally, our brow arch is the darkest and most defined so replicate it using a hard hand. An angled eyeliner brush helps a lot when defining your arch! You’re almost done! 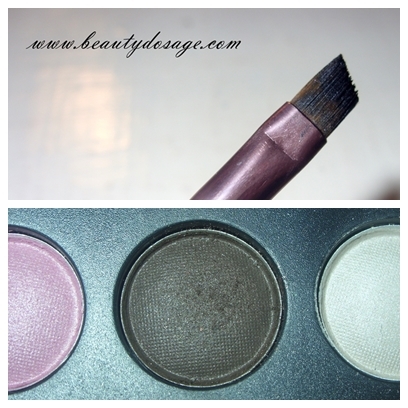 Brush through your brows with the eyebrow brush to spread the color and make it even. You can also set your brows with clear mascara or eyebrow wax. Hope this tutorial helped you. Comment below if you have any requests and also don’t forget to give me your feedback!